Tahiti is definitely the place to spend your honeymoon. 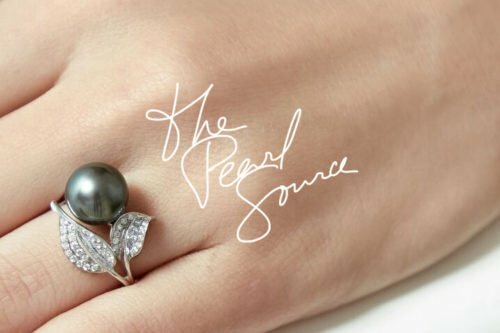 It is well-known for its dominant gravity of the pearls. In Tahiti, the islands are filled with stores and galleries of Tahitian pearls. There is no way you would visit Tahiti and miss to visit the pearl farms. Most hotels and cruise lines in the islands have set up pearl farms. It is a great way to get a feel of the island for you and spouse in the few days for your honeymoon. Tahiti is the place to explore. A man would do anything to win a woman’s heart. Mr. Plant was a good example back in the early 90’s. He owned the New York City Fifth Avenue flagship and it was his luxurious home. Just to know how precious pearls could be, Mr. Plant sold this building to Pierre Cartier. The price was a hundred dollars and a strand of natural pearls. He gave his wife a gift of the natural pearls in form of a necklace. It was obvious that his wife was in love with the neckpiece. At that time, in 1917, the necklace was more valuable than the Neo-Renaissance mansion. He did all this in the name of love. Pearls were and are still considered as one of the most romantic gems. They are sourced from oceans, seas, lakes and even ponds. Pearls are the only gems with a water origin. At the mid-sea, Venus the goddess of love is depicted standing in a mollusk. The sea is ever surfacing with emotional impulsiveness and soothing beauty. It is a figure of mystery full of love. Pearls are precious and they never lose their luster. It takes patience and devotion for the pearls to form. Pearls mature in a period of about five years. The most romantic part of it is to go for a pearl-diving trip to Tahiti. As the newlywed, it would be a memorable moment in your lives. You will be surrounded by the moon-like gems that populate the island’s ocean floors. In the middle of the sea, there is a hut-like wooden structure known as the pearl farm. A treat to the pearl farm would be nice. You will have the panoramic surrounding views of the sea and the mountains. The most important activity in the pearl farm would be to learn how the pearls are harvested and extracted. You can as well dive while at the farm and harvest your own pearl. Pearls are found in so many different seas but the Tahitian pearls are exceptional. They are inky and have an iridescent color. This is derived from the black-lipped mantels of its mollusks. The trained technicians also imbue donor tissues on the pearls. After five years of seclusion in nets, the pearl mollusks are then fished out by the technicians. After fishing out the mollusk, the technicians will then open each mollusk available. In some, the pearls will have formed. The pearls will be extracted using some tall tweezers, then graded and scrutinized according to their value. Pearls grading system is unique just like that of the diamond. Pearls unlike any other gem on earth, are considered to be non-mineral. During your honeymoon in Tahiti, the pearl farm is a place you can never afford to miss. But if you prefer not to visit the pearl farm, you can as well go directly to the jeweler. It is, however, advisable that you do not leave without a certificate of authenticity. It is also important for you to inquire about the surface flaw percentage of the pearls. Have a clear understanding that Grade A pearls can be intricate to find. However, there is always an option of purchasing exemplary Grade B pearls in the stores. Tahiti is with no doubt a place that you will never regret to have visited during your honeymoon. Are You Tired Of Pearl Drop Necklaces?